Chrissy Teigen and John Legend welcomed their second child, a baby boy together a few days ago and the couple has just revealed the special name of their son. On the red carpet at the 2018 Billboard Music Awards on Sunday, May 20, the 39-year-old songster explained why he and his wife Chrissy Teigen chose "Miles Theodore Stephans" for their son. So Miles, of course, is the same name as the great Miles Davis. And Chrissy really liked the name Theodore, so we put it all together and got Miles Theodore Stephens. When he came out and we hung out for him for a little, we were like, ‘He looks like a Miles. 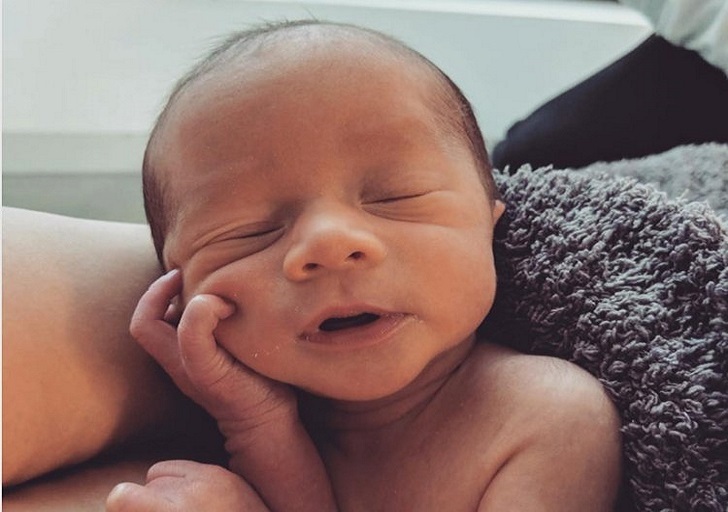 As previously reported, the 32-year-old model gave birth to an adorable baby boy on Wednesday, May 16, with announcing the arrival of the newborn via Twitter. The two also share a 2-year-old daughter, Luna Simone Stephens together. The couple announced Chrissy's pregnancy last November via Instagram that features a video clip of Luna pointing to her growing baby bump and yelling, "Baby! The couple are married since September 2013.